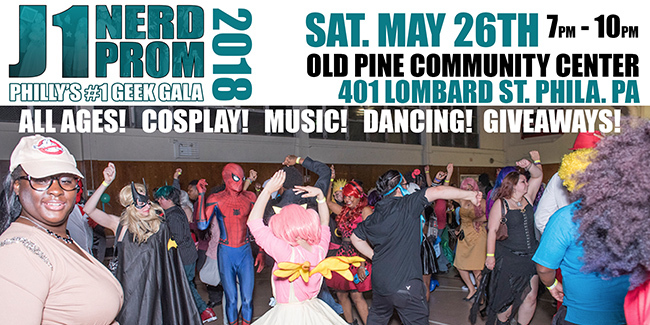 An ALL AGES PROM where you get to show up in cosplay to dance and have a great time! We are even putting it in a gym, with DJ TygerMouth, and balloons!! Mingle, party, and dance! Awesome fun in Philadelphia! A photographer will be there to take your prom pictures. COSPLAY IS NOT MANDATORY, BUT HAVING NERDY FUN IS! Buy as many RAFFLE TICKETS as you want, because it INCREASES YOUR CHANCES OF WINNING! A portion of the proceeds will be DONATED to the American Cancer Society, & [TBD].